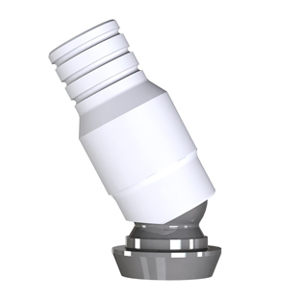 The 3.0 Dynamic Abutment® system is a unique and exclusive piece that has revolutionized the field of dental implants and is the true alternative to titanium angulated abutments or individual dies made by a technician. 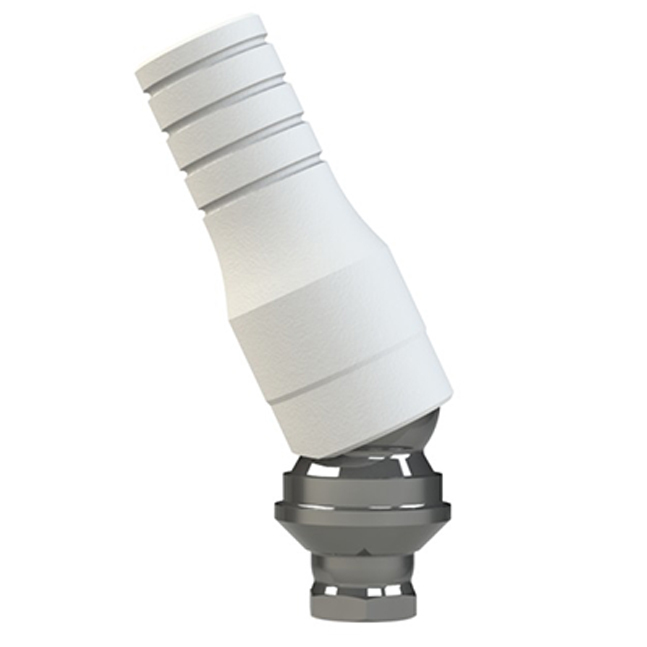 They guarantee a perfect adjustment to avoid any modification in the connection geometry with the implant during the prosthetic production process. 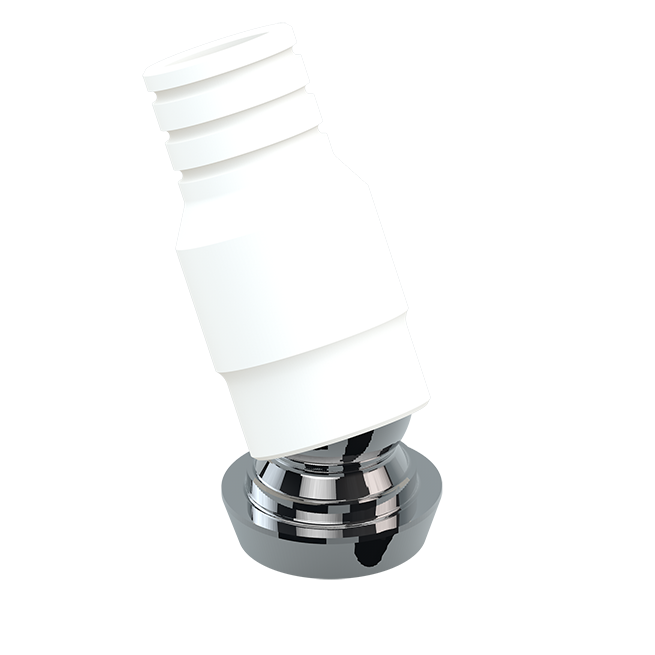 It is made up of two pieces connected together by an elbow that works as a joint, while the chimney pivots on the semi-spherical base. 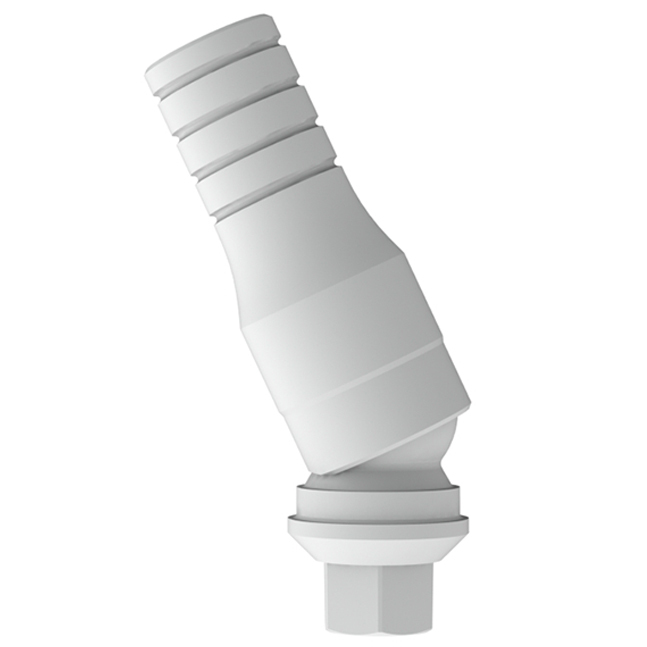 The Dynamic Abutment® system can rectify any angulation issues with millimetric precision up to 28º with full freedom of movement. It is machined in Cobalt-Chrome. It must be cast with Cobalt-Chrome alloy. 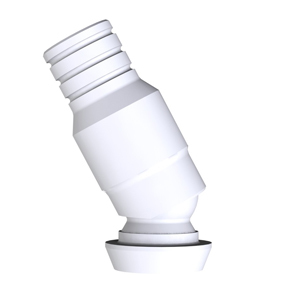 Fully castable abutment. It is produced with sanitary plastic POM of the highest quality. It can be cast with any alloy used in the laboratory. It is machined in Tilite®. It must be cast with Tilite® alloy. 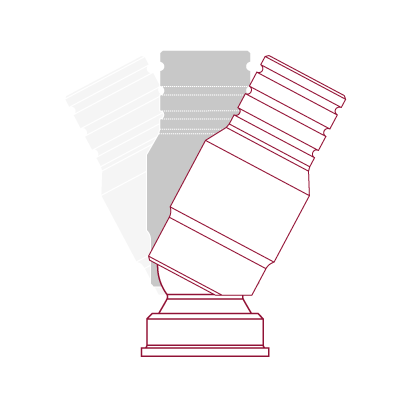 Tilite® alloy is medically pure, extremely biocompatible and anti-allergic. It has a medical insurance of 2.000.000$.